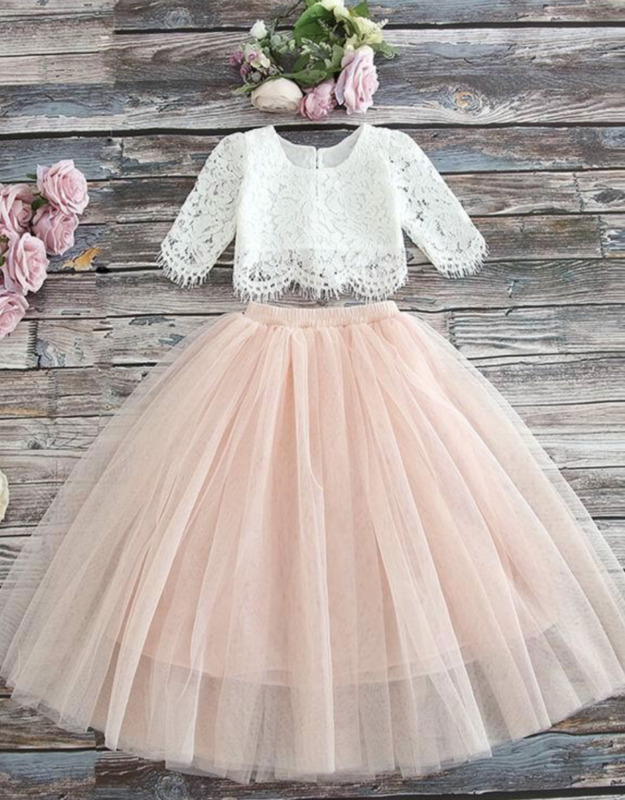 It doesn't get much cuter than a little lady in a tulle skirt! 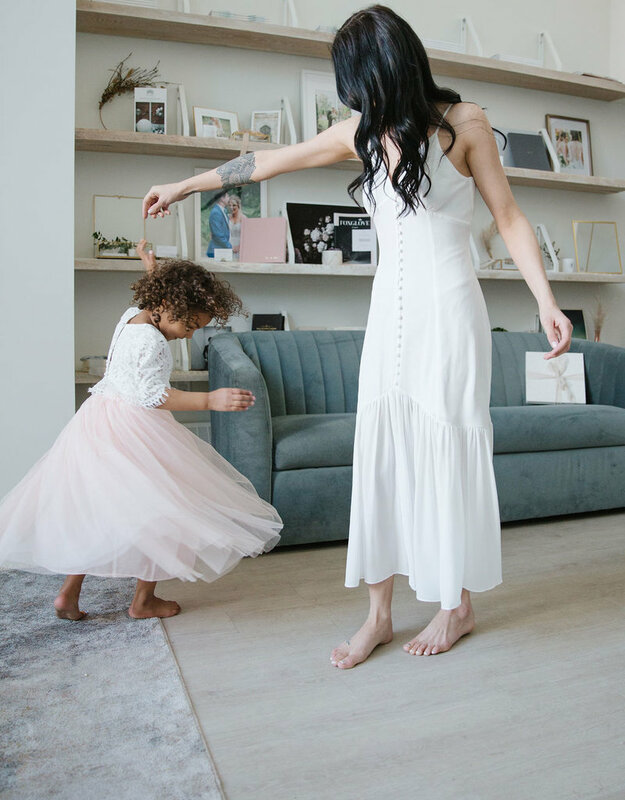 And this set matches perfectly with our Adrian Tulle Skirt and Layered Lace Crop Top for the perfect mommy-and-me matching look! 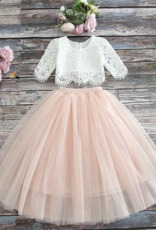 This gorgeous set includes a tulle skirt with stretch waistband and pretty white lace top with 3/4 sleeve. 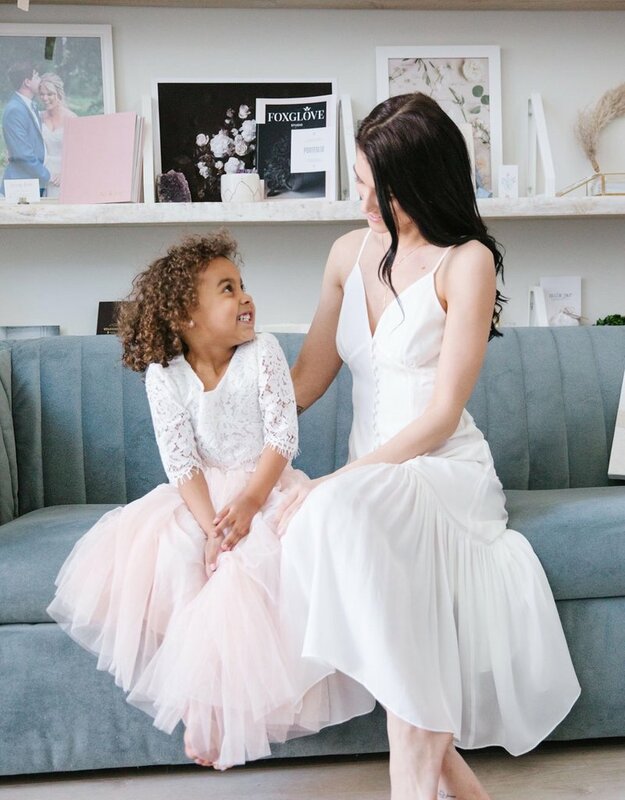 It's perfect for family photos, wedding guests, birthday parties and flower girls! 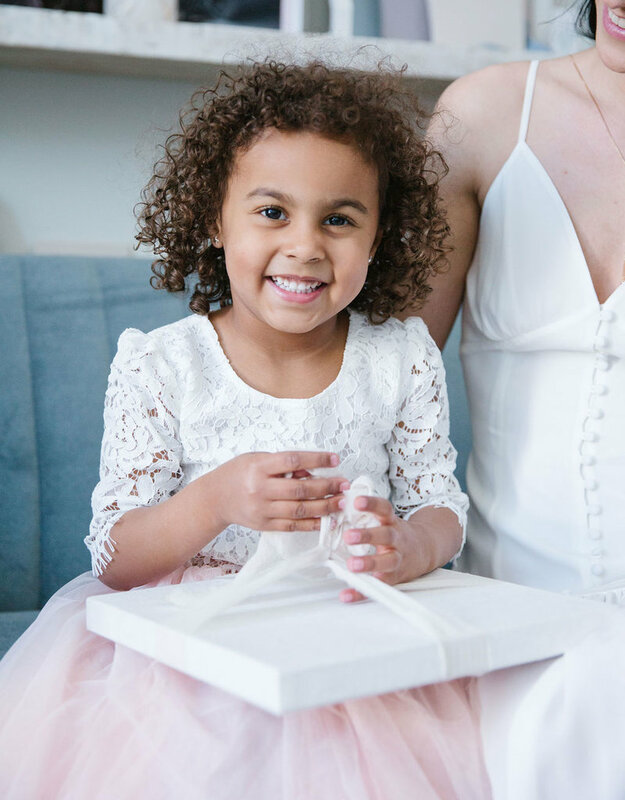 Designed locally in Calgary by our lovely friends at Ruffles & Bowties Boutique.